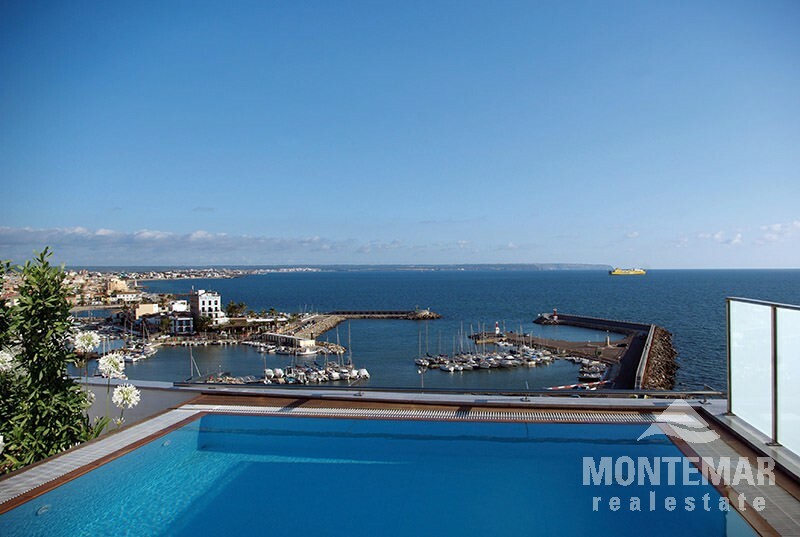 This newly build residence offers a luxury penthouse with views of the sea located right at the beach of Palma with fabulous views over the bay and the romantic little marina of Portixol. 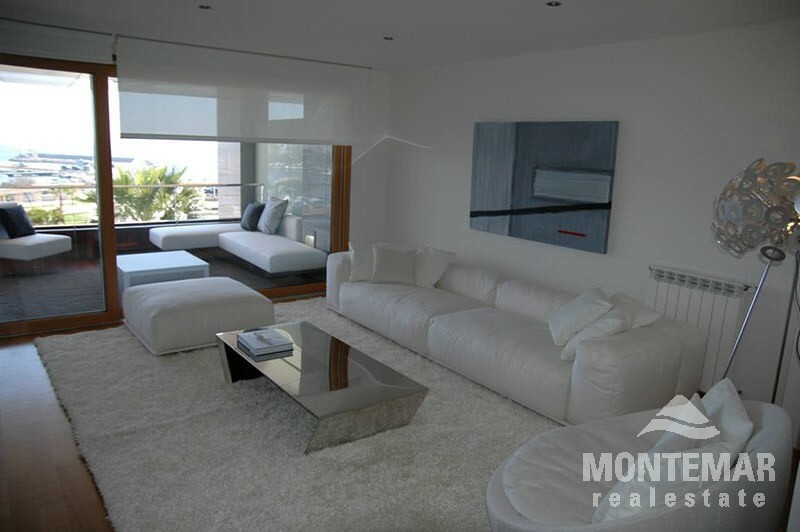 The new penthouse offers around 200 m² of living space as well as 110 m² of roof terrace with a little pool and barbecue. The house consists of modern bright rooms. There are a big open living and dining area with a covered terrace in front, a complete kitchen, guest toilet, 3 bedrooms and 2 bathrooms (one of them en suite). There is also an underground parking available. 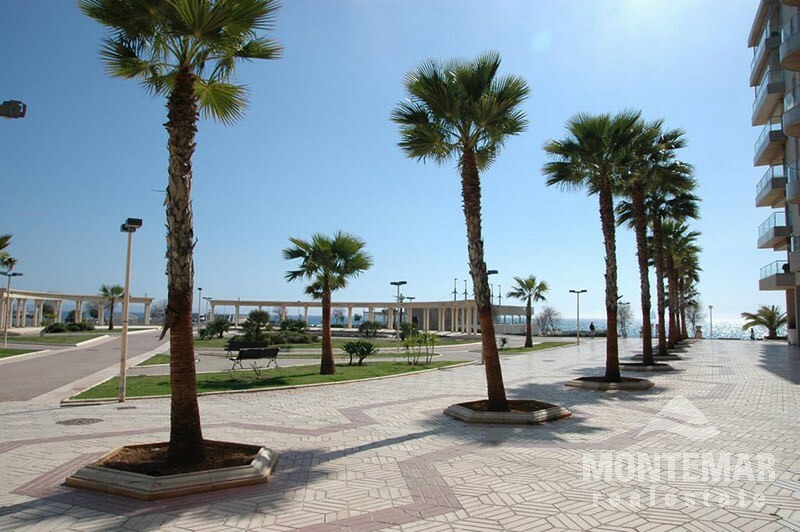 Equipment includes parquet floors, individual heating, air conditioning and designer bathrooms. 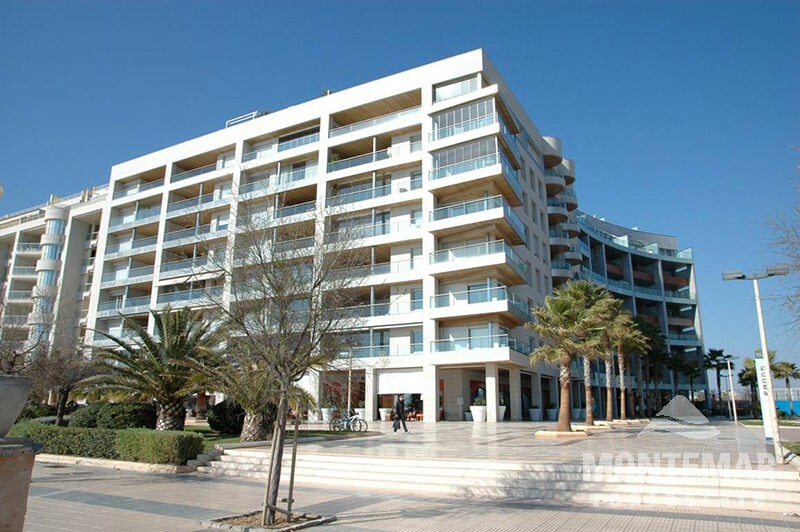 The exclusive home has a privileged location right at Palma de Mallorca's Paseo Marítimo boardwalk with impressive views over the sea and with direct access to the beach. 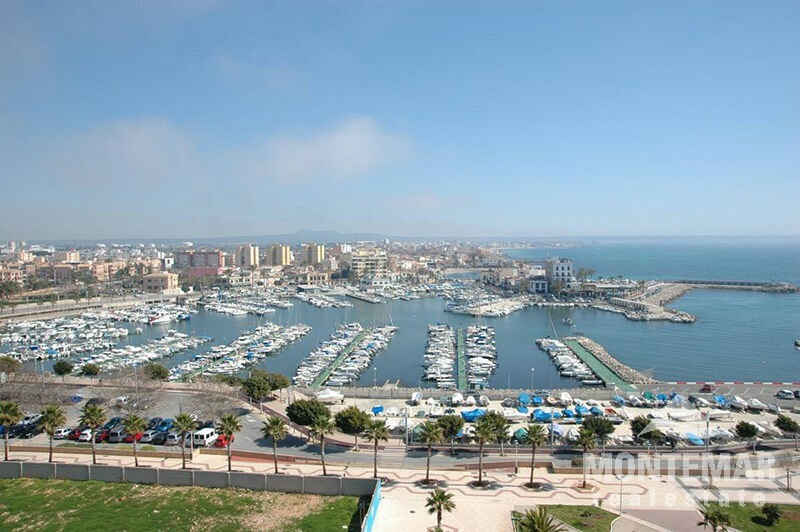 The centre of Palma and the airport are jus minutes away. 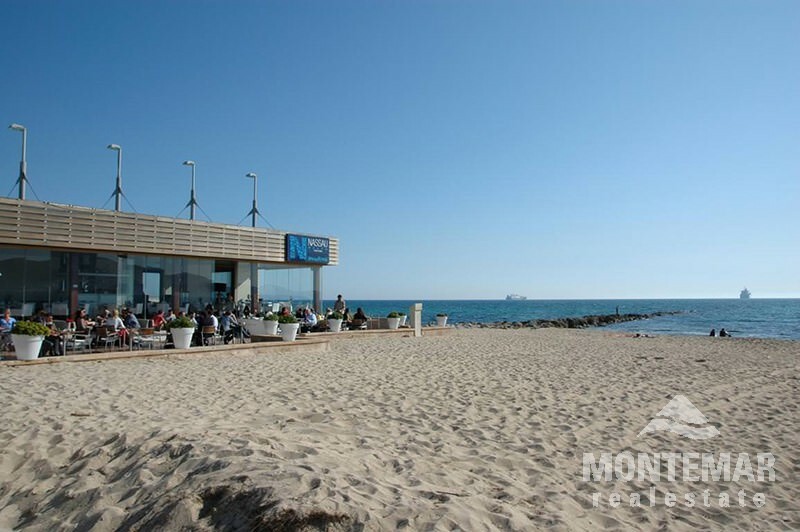 Right next to Marina Plaza is the port of Portixol, one of the most charming zones in the city because of its wide range of restaurants and broad boardwalk right on the sea.